The spellbinding read Getting Unstuck was written by the author known as Conscious, which is a pseudonym for the author who literally was able to reclaim her life after discovering some horrific details in her childhood that were buried deep in her subconscious mind. This amazing story is guaranteed to touch the lives of all who dare to read it. It is indeed a pleasure to welcome Conscious to Books2Mention Magazine. B2M: Conscious you were very courageous in opening up and sharing your life story with the world. How did you arrive at a place of comfort to be able to share your personal journey? CONSCIOUS: I felt that other people had gone through the same thing and figured that since I discovered the map to the crazy maze that unlocked my happiness, it was only right to pass the discovery on to others in an effort to help them reach the same success that I have. B2M: Unfortunately, your story is in fact the story of so many people in our world today. What should we the public be doing to put an end to child abuse? CONSCIOUS: There is really nothing that you can do, because this behavior is so accepted in many other cultures, and because the laws are not stringent enough to deter predators. B2M: What do you hope sharing your story will inspire in others? CONSCIOUS: Take an inner look at their ways and ask themselves why they do the things they do and then begin to make connections with their actions and their experiences in life. B2M: You are currently in the process of making the movie Getting Unstuck. How did this come about? CONSCIOUS: So many people were telling other people about the book and then someone told someone famous about the book and I got invited to Los Angeles to meet the producer of the film Barbershop. B2M: How does it feel to have people interested in seeing your book on film? CONSCIOUS: I am alright with it. But film is a process to be reckoned with. It is a very long process. I have been under option for 54 months and finally have control of the writing process. B2M: Would you say that writing this story has been therapeutic for you? CONSCIOUS: Absolutely. In fact I spent time in a therapeutic community for 1 solid year in order to get my life in order. B2M: Are you currently involved in any organizations to help up lift those who are dealing with similar situations like yours? 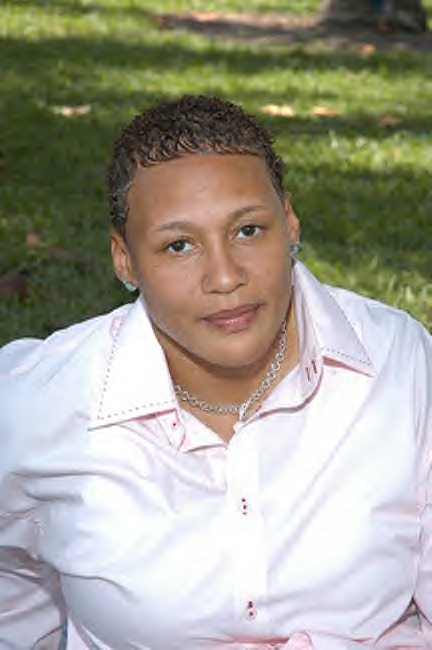 CONSCIOUS: Yes, I currently work closely with the Miami Dade Public School HIV AIDS Education department. B2M: Can we look to read another book from you in the future? It's a powerful play and book that deals with an adolescent girl who gets lured to a predator via the internet and deals with the consequences. It also gives parents a list of all of the acronyms and "Net Lingo" that they must know to understand what their kids are saying in text messages and on the internet in chat rooms. It's a story that piggy backs Dateline MSNBC To Catch A Predator, but this time there is no Chris Hansen and the predator actually sexually assaults the kid. The play will be performed by HS kids in the drama program and will be released on World AIDS Day. Comcast Cable, 99Jamz and the Board of Education are backing the production. Check my website for more details soon. B2M: You have been presented with great opportunities to work with some talented individuals. How gratifying has this been for you? CONSCIOUS: I loved working with Queen Latifah, LLCool J, Oprah Winfrey's Oxygen Media, EVE and everyone else in the industry. They all have left an indelible impact in my life. B2M: You speak of having a spiritual defining moment in your life that fostered a change in you. Does it remain to be a challenge today to avoid negativity in order to surround yourself with positive energy and reinforcement? CONSCIOUS: Staying positive is a must and a very spiritual part of my life. I cannot coexist productively with negativity. B2M: If you were asked to deliver a message to the world, what would the message be? CONSCIOUS: The day you are born you are born with a birthday and a death day but you just don't know what that death day is. What will you accomplish for your self between those two days? Conscious we encourage you to stay strong and continue your mission of shedding light to those who feel that they are stuck in life without choices. Thanks for interviewing with Books2Mention Magazine. Please be sure to come back again and keep readers informed about all of your future projects. You are welcome to visit the website of Conscious at www.prettytomboys.com.